ArcGIS for Desktop virtualization is not new. Electric and gas utility companies have been using Remote Desktop Services (RDS) for remote client access to central hosted ArcGIS for Desktop applications (virtual application sessions) since the late 1990s. [RDS, known as Terminal Services prior to the release of Windows Server 2008 R2, is a server role on a Window Server that lets a user take control of a computer that the user does not have physical access or a virtual machine (VM) via network connection.] This enables remote GIS editors to display and control ArcGIS for Desktop applications located in a central data center. Citrix, building on its close development partnership with Microsoft, has led technology innovation in remote desktop windows application session virtualization over the last 15 years. Application virtualization technology isolates applications from the underlying operating system and other applications, thereby increasing the compatibility and manageability of those applications. Remote client access to rich interactive mapping applications, such as ArcGIS for Desktop deployed in a centralized terminal server architecture, is an ongoing technical challenge that pushes the limits of both network connectivity and client interactive display performance. 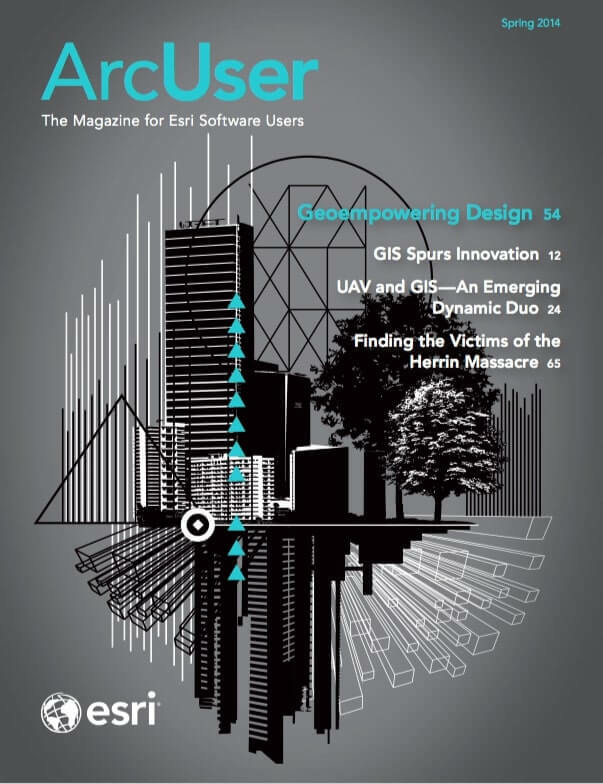 Esri has worked closely with Citrix over the years to identify optimum software technology solutions that satisfy customer needs for centrally managed ArcGIS for Desktop terminal services. Today more than 50 percent of GIS organizations provide some level of RDS to manage remote ArcGIS for Desktop operations. ArcGIS for Desktop application session virtualization enables server consolidation and thus reduces costs. Moreover, virtualization readily supports business agility, growth, more rapid deployments, and a unified and standardized IT infrastructure. This makes provisioning, securing, and testing systems easier. Centralized application management can also save on ArcGIS licensing costs. Esri development currently includes the Citrix XenApp virtual application session platform in formal testing and certification for each ArcGIS for Desktop software release, enabling full technical support engagement for customer deployment on the Citrix XenApp platform. What’s New in Desktop Virtualization? Virtualization technology is changing the way IT provisions and manages business operations. Global network bandwidth availability and regional wireless connectivity are improving user mobility. Operations are more fluid and dynamic. Users expect real-time access to GIS applications and data resources from more places and from an expanding variety of mobile client devices (laptops, tablets, and smartphones). A fully capable virtual desktop infrastructure (VDI)—one that can deliver smooth, real-time remote user display visualization for graphics-intensive applications that are centrally hosted—is opening the door to a promising future for enterprise GIS operations. Cloud-based data centers that include both virtual desktop and server infrastructures can effectively integrate and synthesize information from many sources, facilitating communication and collaboration and breaking down communication barriers between institutions, disciplines, and cultures. Esri is committed to delivering a completely integrated solution that leverages desktop, server, mobile, and cloud computing for enterprise collaboration and sharing across the full range of physical and virtualized platform environments of the ArcGIS platform. GIS applications, including ArcGIS for Desktop, are an integral part of enterprise business operations. Esri’s performance engineering team works as a part of the ArcGIS development process to provide performance and scalability testing for each ArcGIS software release. The Performance Engineering test suite exercises all major areas of released ArcGIS technology including ArcGIS for Desktop, ArcGIS for Server, ArcGIS Runtime, and the new ArcGIS Pro application. This test suite benchmarks performance and scalability in a variety of physical and virtual deployment environments and is constantly updated by the performance engineering team and ArcGIS software developers. Esri is working with key vendor partners—Microsoft, Citrix, VMWare, and NVIDIA—to advance virtualization and cloud technology for enhanced business and community operations. Microsoft Windows Server 2012 and Windows 8 include many significant improvements in graphics remoting designed to provide a fast and fluid user experience in remote sessions. Microsoft has redesigned the graphics remoting stack (RemoteFX) from the ground up to adapt to various runtime conditions (such as graphics content types, CPU and network bandwidth availability, and client rendering speed.) New adaptive graphics for RemoteFX adjust to runtime conditions, providing a better balance between responsiveness, scalability, image quality, and bandwidth consumption. VDI can host personal and pooled virtual machine desktops, session-based desktops, and RemoteApp programs. The Microsoft Remote Desktop App provides easy client access to VDI servers for a variety of client devices including Windows, Windows RT, iOS, Mac OS X, and Android. Citrix is the market leader in providing comprehensive enterprise desktop virtualization solutions. Citrix desktop virtualization enables businesses of all sizes to deliver the right type of virtual desktop for every user, every time. With Citrix FlexCast delivery technology, companies can deliver virtual desktops and applications tailored to meet the diverse performance, security, and flexibility requirements of each worker in an organization. Delivery models include server-based virtual desktops (XenDesktop) and on-demand applications (XenApp). Citrix HDX technology provides advanced wide area network (WAN) optimization, adaptive protocol acceleration, and deep compression capabilities for superior virtual application and desktop accessiblity from any device, over any network. This gives users a desktop experience that rivals that of a local PC. XenDesktop with HDX 3D Pro supports hardware-based graphics processing unit (GPU) sharing of OpenGL and DirectX applications for smooth graphics performance using NVIDIA GRID VGX technology for high-end 3D graphics-intensive user workflows. In addition, Citrix clients are able to leverage Microsoft Windows 2012 (XenApp) and Windows 8 (XenDesktop) RemoteFX capabilities within the Citrix solution. Virtual server market leader VMware is expanding its offerings to include desktop virtualization and mobile computing. VMware delivers personalized virtual desktops (e.g., Horizon View) as a managed service that scales resources up and down to meet changes in demand. Microsoft VDI, Citrix XenDesktop, and VMware Horizon View virtual desktop deployments leverage NVIDIA GRID VGX for optimum client experience with 3D desktop applications. NVIDIA GRID VGX offloads graphics processing from the CPU to the GPU in hosted virtual environments for optimum display performance. The rich graphic displays that ArcGIS 3D Desktop applications deliver perform best with hardware video card graphics rendering. NVIDIA joint testing with Microsoft, Citrix, and the Esri performance engineering team is evaluating GRID VGX performance and scalability and promoting VDI solutions for high- demand 3D GIS operations. The Esri development and performance engineering teams focus on evaluating and improving ArcGIS performance and scalability in desktop and server virtualization environments. It is a high priority especially because future ArcGIS for Desktop workflows will be more visual and resource demanding. The new ArcGIS Pro is a 64-bit application that fully integrates 2D and 3D GIS operations and can visualize synchronized map displays in parallel. While placing higher processing demands on VDI services, this will introduce new business workflow opportunities. The ArcGIS Pro application is designed to take advantage of the Microsoft RemoteFX and Citrix HDX software enhancements, including full integration and support for the NVIDIA GRID VGS enhanced VDI processing architecture. The future of GIS includes 3D, real-time visualization, and virtualization of the environment. Organizations are building 3D virtual cities and a growing market for 3D visualization exists because 3D delivers a much better representation, and therefore a better understanding, of the world. This has always been what GIS is about. Desktop and server virtualization will continue changing the way GIS technology is both deployed and managed. Dave Peters is Esri's principal technical architect, and his primary focus is helping Esri customers implement successful GIS operations. Under his direction, Esri has established a solid foundation for system architecture design consulting services. He is the author of Building a GIS: System Architecture Design Strategies for Managers, published by Esri Press. He is also content manager and principal instructor for Esri System Architecture Design Strategies educational services and travels the world teaching system architecture design to a variety of GIS audiences.